When I was looking for a new cell phone, I decided to focus on a prepaid plan primarily because I’m a moderate user and prefer not to have a contract. I set out to compare as many prepaid cell phone services I could find to select the best one. What I found was interesting. Most every prepaid cell phone had an array of confusing charges, features and restrictions. It made my head spin! Minimum charges, extra charges for overages, monthly charges, lower charges on this day, more on another… I couldn’t keep them all straight. 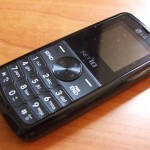 When I found the Net 10 LG 300 Prepaid Cell Phone it quickly went to the top of my list. And here’s why. I purchased the phone for $29.95 which includes 300 minutes of talk time valued at $30, so the phone was basically free. Actually, all Net 10 phones now include 300 minutes of talk time and 60 days of service, so most phones are free. And shipping is free for any purchase over $19.95, so again, you’re only paying for airtime, the phone and shipping are free. The battery life is excellent, I keep my phone on 24/7 and normally charge it about once a week. To fully charge the phone takes only a few hours (often less). The menu options on the LG 300 are easy to use, buttons are easy to find and press and texting is straightforward. This phone also includes lots of fun tools like a tip calculator, unit converter, alarm clock, notepad, world clock, stop watch, games and calendar. The 1 touch auto dialer makes it easy to dial often called numbers. Adding minutes to the phone is easy. Go to their website and buy online, activating immediately or purchase cards at many retail locations like Walgreens and punch in the activation code into your phone when you need it. Regardless of the amount of minutes you buy, the least a month will cost you based on the service days is approximately $15 a month. I’ve had the opportunity to contact the Net 10 customer service team several times and was pleasantly surprised. Emails were normally returned within 24 hours or less and phone operators were pleasant and helpful resolving the issue before the end of each conversation. For moderate prepaid cell phone users that don’t need all the latest bells and whistles, this is the best phone and plan I found. With an average purchase of 300 minutes which includes 60 service days, the average cost is $15 a month (based on $0.10 a minute). That’s less than any other plan, both prepaid and monthly, I could find. Of course, you can add as many minutes as you need, but if you’re looking for the least expensive free prepaid cell phone, the Net 10 LG 300 is my best recommendation. do the minutes roll over? or do they expire? I really love the flexibilty I have with Net10 in terms of minutes and prices, because one month I might think I need more than the next. Their texting prices are not bad at all ($.03 a text) versus the $.10 a text you will pay with any other major carrier. In fact, Net 10 really is a mjaor carrier considering what you get and how the are on the TMobile calling network. I’m not attached to my cell phone expect for work, so Net 10 really works out for the moderate cell phone user. And its doesn’t get any easier than Office Max to pick up more minute cards or just re-charge from the phone – it saves me every month. Got one for my 12 yo son. Its cheap, I paid $30 with 300 minutes, I said what’s $30 bucks for the phone and minutes, nothing to lose if it doesnt work out to my satisfaction but so far Im happy with the service. My son is happy too and I am not worried about losing the phone so he can take it anywhere without worries. Practically free phone. 15 a month for service. Flat rate. 300 minutes free when you sign up. Got to love it. I have done so much work and research on different cell phone plans that are available and have come to realize that prepaid is completely the way to go . You aren’t stuck in some contract where they have complete control of what they charge you… and you get these fees and you’re like WHAT ARE THESE!! With prepaid, at least you have a are able to control what you actually pay for. I have a net10 phone and the service is fabulous and I have saved SO much money. Ten cents a minute and TONS OF INTERNATIONAL calling to over 60 destinations for just 15 cents a minute.. pay for what you actually not use. Zinny, they roll over as long as you add more minutes before your current set expires. For example, if you have 350 minutes left and your current service period expires in a few days, if you add another minute pack before it expires, it’s added on to your 350 so you don’t lose it. Hope this helps! I’ve used two-year contracts my entire life too and thought they were the only way. Now that I use Net10, I don’t miss the anxiety and the hidden charges that the contract brings. I mean and the service is just better than anything you possible get out there. I can’t imagine going back. Why pay Verizon prices ( double) when I AM ON THE VERIZON NETWORK! Hah. the sound of free phone no contract and the rest of the amazing features on that list sound great. The one not so good thing about it is the phones their not all high tech how you are use to with your contract phones. However the word free can do big things haha. However they do have good phones on sale. And perhaps the most underrated feature of them all in my opinion has to be the fact that their signal is carried on the AT&T network. When have you paid $50/month for unlimited service in any other network? Net10 is a great compromise plan if you don’t have the luxury of dumping 120 a month on a two year contract with iPhone. 50 bucks gets you all the everything including data that you could ever need, and they use the Verizon and ATT towers to provide pretty much the best coverage options in prepaid. It’s not as fast as I want in terms of internet speed but I’m willing to make sacrifices for the 50 dollar pric. Yeah very true rachel, I don’t know too many people who have the luxury of tearing through money like those iPhone users do which is why Net10 is a great compromise. I heard the customer service for companies like this is the pits but yeah sacrifices must be involved if you want to pay this price. Thanks for this review–it’s short and to the point, and gives a good overview of the Net10 service. I too appreciate the simplicity of the airtime plans, and that there are a good variety of minute/month amounts to choose from. The international dialling plans are a great option too–not every prepaid carrier has those. Now if they’d just add a couple of touchscreen smartphones to their lineup, they’d be just about unbeatable! Yeah great review. This phone is really really basic and I wouldn’t recommend it to anyone but someone who is on the tightest of budgets. However, I will recommend Net10 with another phone, such as the LG900G. It only costs 50 bucks a month for unlimited service and you get the power of the Verizon and ATT networks, a real steal in the prepaid realm.